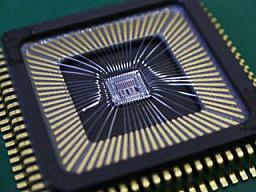 Novel sensor technologies can be opened up with the state-of-the-art semiconductor technology. RF Mixed-Signal CMOS circuit and high-precision digital signal processing are particularly vital technologies to work out a sensor system on chip for the nondestructive and noninvasive testing. We are developing the free radical sensor and the millimeter-wave CT sensor for biomedical applications in collaboration with the electronics manufacturer and the technology licensing organization of Kanazawa University. The designed LSIs are prototyped and evaluated with the help of VDEC (VLSI Design and Education Center in Japan) and semiconductor manufacturers. The application field of a RF-CMOS LSI is greatly expanded in wireless communication technologies, such as a wireless sensor network and a RF-ID (Radio Frequency Identification) system, which requires the low-power dissipation or passive operation, and increasing the number of communication channels. 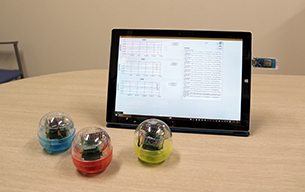 We are developing the LSIs and the wireless network system for a disaster prevention and environment monitoring in collaboration with the electronics manufacturer. In order to promote the social implementation of IoT, we will produce the demonstration system composed by the wireless network nodes, the internet gateway, and the application software. To provide a wireless sensor network with maintenance-free feature, the energy harvesting is most effective means. The high-efficiency power generator and the low-power supply circuit is required to develop the electronic systems without the primary battery. We are developing the power management circuits minimizing the power-loss through a energy conversion process in collaboration with the research groups that are developing the high-efficiency power generators, such as a magnetostrictive vibrational power generator, an organic thin film solar cell, and a corrosion battery. The demonstration systems will be constructed with the wireless sensors having an energy harvesting capability.